Prepare for a surprise when you switch on… This lampshade-with-a-difference adds a cool, quirky touch to any setting. Covered in subtly textured fine silk, the stylish design conceals a hidden graphic that’s instantly visible when the light bulb illuminates. 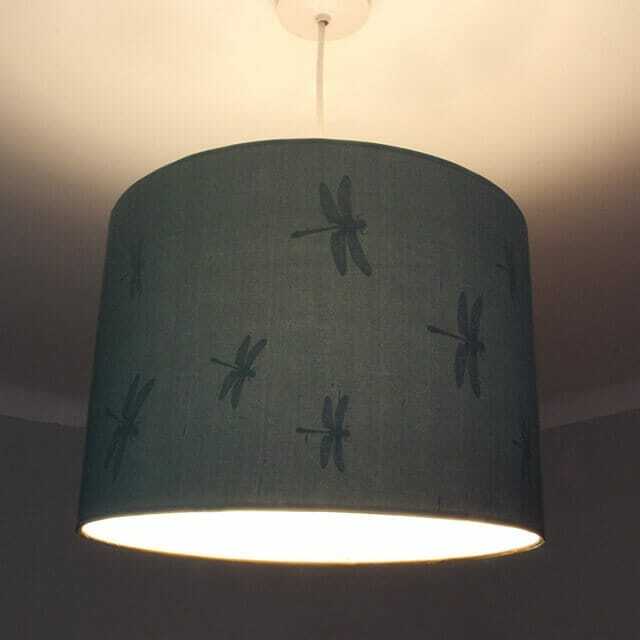 A flurry of dragonflies springs to life on the inside then vanishes the second the light is switched off. 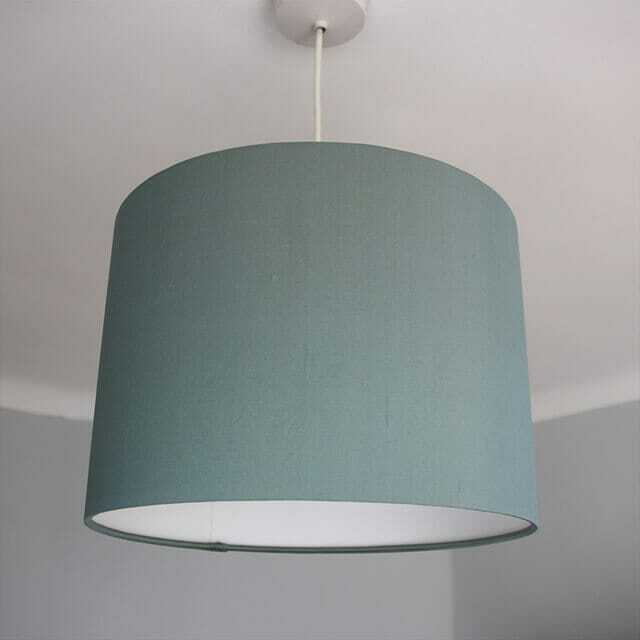 This handmade shade is finished in ‘Ether’ blue-grey silk with a rolled edge and features a lamp holder ring fitted at the top of the shade so it can attach to a pendant light fitting and hang downwards.